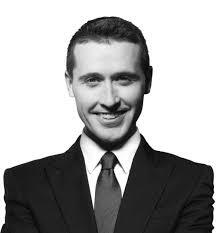 Tom Waterhouse became Chief Executive Officer of William Hill Australia in July 2014. William Hill is one of the largest gambling operators worldwide. William Hill Australia operates the William Hill, TomWaterhouse.com, Sportingbet and Centrebet brands, and is among the most respected bookmaking businesses in Australia. He joined William Hill after his bookmaking firm TomWaterhouse.com was purchased; he was Managing Director of TomWaterhouse.com until he was appointed CEO of William Hill Australia.Tom comes from a long line of bookmakers dating back four generations. He became a licensed bookmaker in 2003 at the age of 20 (while completing a double degree of Commerce Liberal Studies at Sydney University) and was Australia’s largest and most profitable on-course bookie by 2008. In 2010 Tom launched online wagering company TomWaterhouse.com, It grew in the space of three years from employing three people to 110 and from having less than 1,000 clients to approximately 200,000. It also became one of three most recognised gambling brands in Australia in that time. In July 2014 became CEO of William Hill Australia operating the William Hill, Tomwaterhouse.com, Centrebet and Sportingbet brands with approx. 250 people and one million clients. To hear his insider stories from racing will be night to remember at your next event.